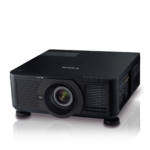 The LX-MU800Z Projector brings the high performance, reliability and exceptionally long life of a laser light source to Canon’s LX-series. It delivers an outstanding 8000 lumens of brightness and up to 20,000 hours of continuous, virtually maintenance-free operation for large venues in higher education and corporate environments, houses of worship and digital signage applications – representing a lower total cost of ownership. Digital Light Processing (DLP) technology, WUXGA (1920 x 1200) high-resolution, and a high contrast ratio of up to 10,500:1* combine to help produce highly detailed images and accurate colour over a large projection area. The laser light source system provides up to 20,000 hours of reliable, high-quality projection – which is many times longer than a conventional lamp’s life. As there are no lamps or filters to replace, there is virtually no maintenance required. This means downtime is kept to a minimum and running costs are relatively low when looking at the total life of the product which is a key consideration for challenging and hard-to-reach installations, such as auditoriums and lecture halls, or hard-to-access digital signage sites. 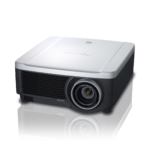 Single-chip DLP technology combined with the laser light source, WUXGA (1920 x 1200) resolution, and a high contrast ratio of up to 10,500:1* enables the LX-MU800Z to produce high resolution content with an outstanding brightness of 8000 lumens, and a broad colour gamut for remarkable colour reproduction, detail and clarity. 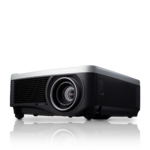 Extensive image adjustments allow for fine-tuning to suit image sources, environments and user preferences, while seven different optional lenses help ensure content will look great virtually wherever the projector is installed. Lenses range from Ultra Wide Zoom to Ultra Long Zoom, and can be installed or removed quickly and easily with a simple push of the lens release button. The LX-MU800Z is convenient to set-up as it can be rotated 360 degrees to any angle on the vertical axis. It can also be positioned on its side so that images more suited to portrait projection** can be optimally displayed. This is a useful feature for sales promotion, digital signage, museums and art galleries. A flexible lens shift allows for a variety of vertical and horizontal adjustment options. Additionally, the projector’s lens memory function can be used to store up to 8 different custom lens positions, each including lens shift, zoom and focal length. Connectivity is both comprehensive and versatile with built-in HDBaseT™ for transmitting video, audio and control over a single Ethernet cable, as well as 3G-SDI, HDMI, DVI-D, 5BNC, DisplayPort, RJ-45 and more. This model is also compatible with Crestron, AMX and Extron devices. 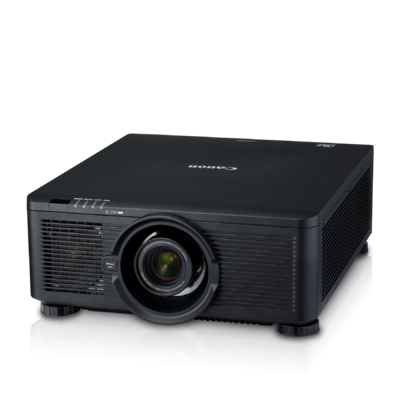 For additional reassurance the LX-MU800Z is backed by Canon’s 3-Year Projector Limited Warranty, and the Company's award-winning Professional Service & Support. ** For Portrait Projection a mount would be needed to allow for proper air flow. 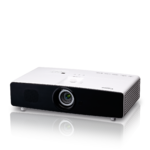 Using the projector in portrait projection may reduce the lifetime of optical parts when the lens faces downward during projection and when the air intake vent of the projector faces downward during portrait projection. *4: Life based on an average value of usage time when the brightness of the laser light source drops to approximately 50% of what it was from first use. **2: Indicates focus ability range in the chart. 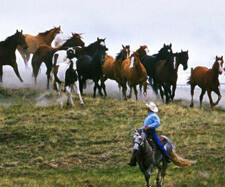 Optical feature guranteed range is: 50 - 300"